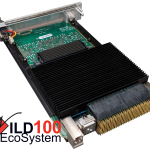 Kintex Archives - Annapolis Micro Systems, Inc.
One or two Xilinx® Kintex® UltraScale™ XCKU115 or Virtex® UltraScale+™ XCVU5P/XCVU9P/XCVU13P FPGAs. Up to 20 GB of DDR4 DRAM for up to 80 GB/s of DRAM bandwidth. Up to 7.5 million logic cells and 11.5 million multiplier bits per board. Features a WILD FMC+ (WFMC+) next generation I/O site. 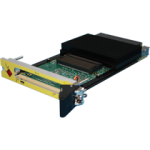 WFMC+ supports 32 HSS and 100 LVDS I/O for higher density ADC and DAC solutions. 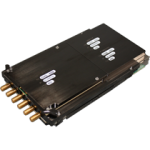 WFMC+ also supports stacking two I/O cards, for maximum performance per slot. 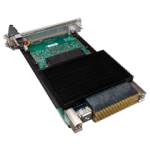 Deploy in your system, or see Annapolis' fully-integrated and qualified PCIe Server. 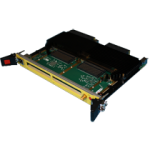 WILDSTAR™ UltraKVP ZP 3PE for OpenVPX 6U boards include three Xilinx® Kintex® UltraScale™ XCKU115 or Virtex® UltraScale+™ XCVU5P/XCVU9P FPGAs with High Speed Serial connections performing up to 32 Gbps. 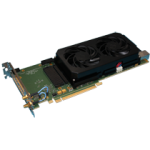 There is also an on-board Xilinx® Zynq® UltraScale+™ MPSoC Quad ARM CPU running up to 1.3 GHz which can be used for local application requirements without requiring an additional Single Board Computer (SBC). WILDSTAR™ UltraKVP 2PE for 6U OpenVPX boards include one or two Xilinx® Kintex® UltraScale™ XCKU115, Virtex® UltraScale™ XCVU125/XCVU190 or Virtex® UltraScale+™ XCVU5P/XCVU9P FPGAs with High Speed Serial connections performing up to 16.3 Gbps. 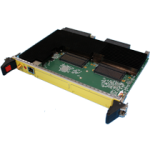 There is also an on-board dual ARM Cortex-A9 Processor running up to 766 MHz which can be used for local application requirements without using PCIe bandwidth.